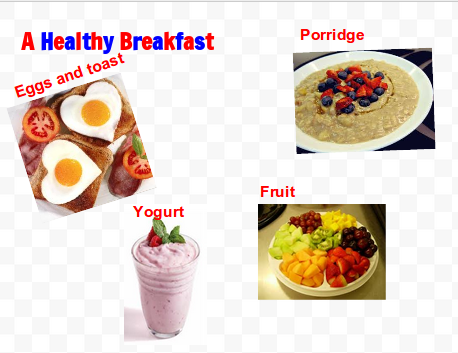 Last Friday we went to Technology and we were learning about Healthy Food choices.We had to do a healthy vision board and an unhealthy vision board.The first vision board I am going to show you is a healthy breakfast. This really is a healthy breakfast Manuae. Have you considered preparing this at home and taking a snapshot of it and then putting it up on your blog? It is worth a try.